In 2001, a relatively young filmmaker named Christopher Nolan created a stir with a film that broke rules of narrative even as he made new ones. 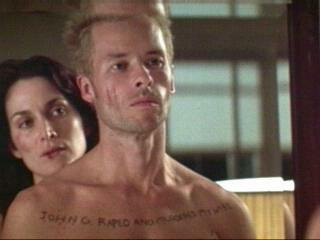 The film that did this was Memento, a modern-day crime noir about a man with severe memory loss trying to find his wife's killer. From is unreliable protagonist to it's asynchronous storytelling, Nolan started a legacy that would propell him to being one of Hollywood's most celebrated directors. But does this film deem worth remembering? Eric, Kent & Lobster find out.